The leader of the IRPT party, Mukhiddin Kabiri, once again confirmed that their party adheres to the ideas of secularism: he believes that Tajikistan should be a secular state, that is, religion should be separated from life and the state, he said in an interview with journalist Anna Tseslevskaya for the IA Fergana.ru “What should be the future of Tajikistan? What state do we want to see? 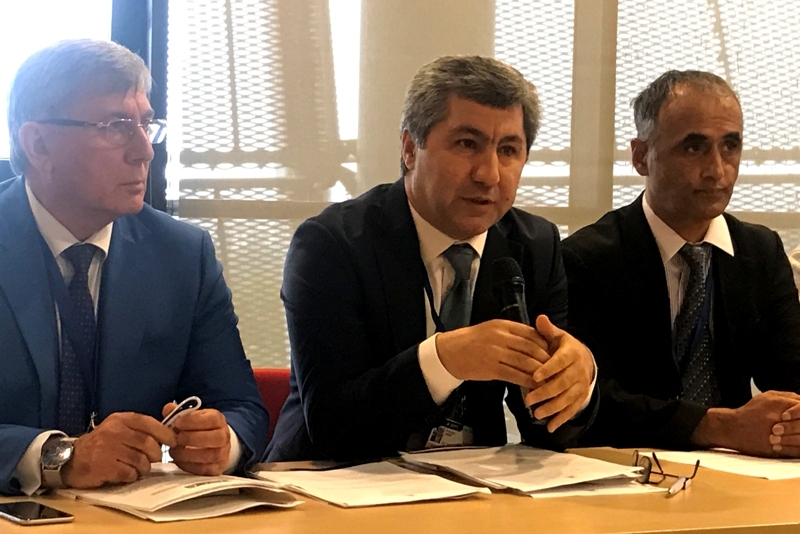 Everyone agreed that Tajikistan should become truly democratic, law-based, and it should be a secular state,” said Kabiri. This is not his first statement of this kind, and earlier M. Kabiri repeatedly spoke in favor of the secular future of the country. It is worth recalling that the history of the birth of the IRPT, which goes back even to 70 years of the last century during the Soviet occupation of the peoples of Central Asia. The party originated in the form of the youth movement – “Nakhzati Islom” Islamic revival, which existed in occupied Tajikistan illegally. Under the strict atheistic radicalism of Soviet power, the founders of the organization, according to S. A. Nuri, aimed at two main goals: spreading the ideas of pure Islam, educating people in the religious spirit. Until 1991 when the IRPT gained an official status in Tajikistan, many of its members and supporters were in prison. In the early 1990s, the party openly made it known about its Islamic position regarding the further state system of Tajikistan and the people, at least its majority, supported this position. After the so-called “civil confrontation”, which ended with the signing of peace agreements by the Government of Tajikistan and the UTO, which also included the IRPT, the party participated in parliamentary elections and won several deputy seats in parliament. Thus, it moved away from its original position. But despite this, the people of Tajikistan gave IRPT great confidence and supported it, since the name of the party is associated with Islam. More than once, the leadership of the party has supported government decisions regarding repression of various Islamic movements and parties. For example, in February 2005, M. Kabiri told IWPR: “There is already an Islamic political party in Tajikistan, and there is no need for another such party.” Abdullo Nuri, the leader of the IRPT, expressed this opinion earlier in an interview with the newspaper “Nadzhot”. “The IRPT believes that the democratic freedoms adopted by the international community do not contradict the ideas and canons of Islam,” Kabiri also said, noting for comparison that Hizb ut-Tahrir rejects the secular democratic polity as a “Western commodity” and advocates the creation of a global Islamic Khilafah (Caliphate). Abu Hurayra narrated that the Messenger of Allah ﷺ said: «الْمُؤْمِنُ مِرْآةُ الْمُؤْمِنِ وَالْمُؤْمِنُ أَخُو الْمُؤْمِنِ مِنْ حَيْثُ لَقِيَهُ يَكُفُّ عَلَيْهِ ضَيْعَتَهُ وَيَحُوطُهُ مِنْ وَرَائِهِ» “A believer is the mirror of his brother. Muslim is the brother of another Muslim. …. He should not harm him, and must protect him from behind”. The mirror reflects everything as it is, does not hide any flaw or defect, does not diminish the beauty of something. For it, all the reflections are the same. The mirror will not be biased, will not store on someone anger. Everyone is equal before it. There is no section on the rich and the poor, young and old, beautiful and not for it. His duty is to accurately reflect everything. The Muslim should be the same. He should not be biased in dealing with people. He should be fair and sincere with everyone. Following the above hadith, as well as other Shariah arguments, it is necessarily to point out the mistakes of the IRPT brothers and guide them on the path that Allah, His Messenger and the believers will be pleased with. Today, the West, by virtue of its interests, namely, to seize at least some lever of pressure on the regime of Tajikistan, which is under the unquestioning influence of Russia, has provided shelter to the leader of the IRPT and dictates its own conditions. Kabiri, believing the promises of the West, fulfills these conditions, but as soon as the West reaches its goals or sees the uselessness of cooperating with the IRPT – it will immediately abandon you, as it was with other movements and parties earlier, an example of this is the party “Muslim Brotherhood”. Secularism and Islam are absolutely incompatible and antipodes: Islam demands to subordinate all systems of life to the decrees of the Creator, while secularism demands to separate religion from the life of society and the state. Islam was revealed to us with its aqeeda and the Shariah, which does not need to be supplemented or revised with the passage of time, and it is also unacceptable to adjust the Shariah laws to reality. This is not the path of the Prophet ﷺ not the path of the Companions, Tabi’in and Tabi ut-Tabi’in, this is not the path of our righteous ancestors – such as Salman Al-Farsi, Al-Bukhari, Abu Hanifa, etc. We urge Mukhiddin Kabiri not to succumb to various promises of the West and not to push Islam to reality, to return to his roots, that is, to spread the ideas of Islam and educate people in the spirit of Islam, and this is possible only with the resumption of the Islamic way of life, which should be adhered to the method of the Prophet ﷺ, the Most High Allah will be pleased with it. May Allah guide us all in a direct way.